This post attempts to pull together some preliminary thoughts on public domain, intellectual property rights and attribution. It was triggered by reading an article about a recent start-up ‘brain-storming event,’ and noticing a resulting project based around an idea similar to one I was also toying with last August. The idea is an obvious one (a social networking app to facilitate interaction among people physically present in a co-working space), and has probably been implemented a bunch of times. Based on my experience at a co-working space, and as a personal experiment in thinking like an developer-entrepreneur, I wrote up a short design brief in August. It was fun, but nothing came of it. I should emphasize, in the context of the following, that the ideas and details in the brief were not particularly important or original, but just your average ‘hobby-geekery.’ The significant part, for me, is that this design brief document has provided a personal test-case for thinking more about ideas as property. Seeing now that others are implementing a similar app idea, and knowing I will not develop anything like this myself, I’d like to pass on my document to the developers, in case they might find some details worth implementing, and also to share the ideas with the general public. I could simply email the developers (I will) and put the document on my website (I have) and be done with it. But in the sharing of ideas, it helps all concerned to be explicit about our intentions: if freedoms (and restrictions) are not just implied but made clear, the user of these ideas has a little less uncertainty to worry about in the present, and in the future. For this reason, I’ve become a fan in recent years of the Creative Commons system of licenses. In picking a license for my document, I can easily exclude the ‘ND’ (no derivatives) and ‘NC’ (no commercial applications) clauses. The ‘BY’ (attribution) clause has required a bit more thought. In creative life in general, and science in particular, attribution is everything. We make our livings based on our reputations, and our reputations are built on having our ideas and work attributed to us. But bit by bit I’ve started to question this modus operandi for myself. Ideas seem so ephemeral, slippery, and unpredictable that it is becoming increasingly uncomfortable for me to ‘take credit’ for them. I believe we are what we are largely as a result of things we were given (upbringing, education, genetics, circumstances), and ‘our’ ideas arise as spontaneous ‘mashing up’ of information flows and memories which we don’t control: in the domain of idea creation, I am simply a ‘mash up crucible!’ From this outlook, it is harder to say that we ‘own’ an idea, and attribution demands are largely about ownership (intellectual property), or at least always have been for me. For instance, I chose the BSD Open Source License for phylocom rather than the GPL because the former is explicit about attribution of derived works, while the latter is surprisingly opaque about the requirement to include the original copyright notice in derived works. Now I’m thinking of switching to the GPL, a ‘copyleft’ license that requires that derivative works are shared and modified in the same manner as the original code, and which its proponents claim has been a major engine of growth in the transformative world of Free and Open Source software. However, despite the advantages of the GPL, it is highly constraining on how software licensed under it can be used. It’s like giving a gift but saying, “If you want to pass it on, you have to pass it on in just this way.” Personally, I feel like I would rather just say, “Here, it’s yours now.” I’ve been looking at the ‘Unlicence’ as one particular solution to this. This (un-)license attempts to place the software in the public domain, and waive copyright. 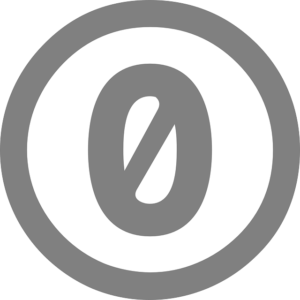 The equivalent license for documents (as opposed to software) is the Creative Commons CC0 Public Domain Dedication: “The person who associated a work with this deed has dedicated the work to the public domain by waiving all of his or her rights to the work worldwide under copyright law, including all related and neighboring rights, to the extent allowed by law. You can copy, modify, distribute and perform the work, even for commercial purposes, all without asking permission.” Deeding a created work in this way frees the user completely. Coming back to the original issue of this post, i.e., wanting to share a document containing ideas about an ‘invention,’ a license requiring attribution for the use of any of the ideas in that document (e.g., CC ‘BY’) may create a significant headache for a developer in a commercial start-up, and so he/she may in the end be unable to comply, and thus unable to incorporate those ideas, to the detriment of the product. The CC0 License removes the ‘BY’ obligation, while still helping to protect the content from subsequent patenting by someone other than the originator. This is a concern not so much because someone might benefit from claiming an idea that did not originate with them, but that in patenting an idea they might subsequently infringe on the rights of others to use it. There are problems with the CCO (e.g., not all countries accept the legal concept of public domain), but... I like the concept. And think I may start using it in preference to ‘CC BY.’ As a start, here is the design document referred to above, licensed under CC0. I should add that the above thoughts refer only to the legal aspect of copyright and ownership, and do not imply that I think we should not ‘sign’ our work. As creators, there are many reasons why we add value to a work by providing our name: the opportunity for readers to collaborate with us, an assurance of the work’s quality and validity based on our reputation, and the opportunity for the reader to attribute us if they want to. I also, of course, understand and am tugged at by the desire to enforce attribution and ownership (via copyright and patents), and don’t yet hold a clear opinion on the desirability of a totally open, public domain infosphere. But I’m starting to think about it! 2014-11-22 Update: Realized I should also include license information in the PDF as XMP metadata (using LaTeX xmpincl.sty). Ah... yet another adventure! Not as easy as you might think, given the very particular nature of the RDF allowed by the XMP/PDFa standards (which, by the way, seem only to be available in a comprehensive form for the small sum of 158 Swiss Francs, from ISO! Public Domain information anyone?). But I managed in the end. More info in the XMP file itself, which maight serve as an example for others.